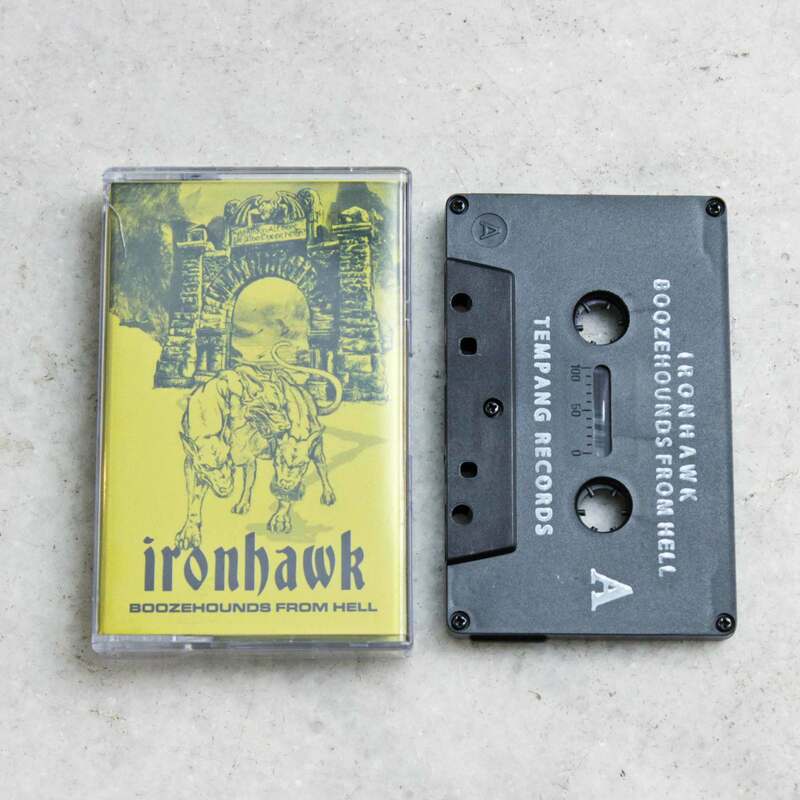 Let&apos;s get something out of the way here: Australia&apos;s piece of booze-induced punk insanity Ironhawk is doing nothing new. Many bands have mixed Motorhead-style speed with elements of crust punk and black metal, and many will in the future. Young and in the Way, Midnight, and many others have taken the style and twisted it to fit their vision. However, just because this EP is not innovative or groundbreaking it doesn&apos;t mean that it isn&apos;t a great tape. It just means that it isn&apos;t for people looking for experimentation, progressive playing, or something other than the audio equivalent of being punched in the face, dragged into hell, lit on fire, spat on, and then punched in the face again. The speed metal assault on this album is constant, with very few sections where the music gives you a chance to breathe. The only time you&apos;re allowed a breath is the rather odd clean intro to Frozen to Time. While it is very good and it does work in the slower, more ominous context of the song, the piece ends up feeling a bit inessential. Aside from that weirdly placed section, this whole EP feels like great care was given to songwriting, with every note and solo feeling essential to the overall atmosphere.